The little community of Belmonte of between 100 and 300 souls was “discovered” in 1920 by the engineer Samuel Schwartz. Its existence was revealed to the world by Frédéric Brenner’s short film The Last Marranos in 1990. The Jews of Belmonte are one of the last groups bearing witness to the precarious life of Jews hunted by an all-powerful Inquisition and Church. They lived without rabbis, synagogues, or books. The faith was passed on orally by the women, who chose the moment when their children seemed capable of learning about their community identity. Socially, these Jews took full part in the village’s Catholic life of baptism, weddings, and funerals.However, the non-Jewish population, especially the village priest likely had some awareness of their secret practice. In any case, their rites were reduced to the bare essentials: Hebrew words and important Jewish figures (Adonai, Esther) were included in prayers spoken in Portuguese; a discret light was lit on Friday evenings; they fasted frequently and cooked mazoth at Passover. Prayers were spoken either at home with all the windows closed or in the woods or by the river. 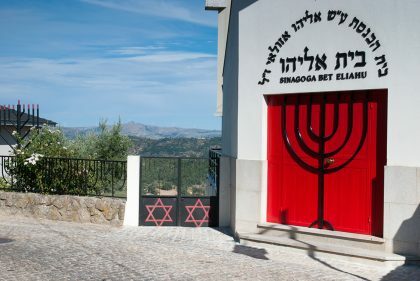 After a rather complicated return to overt Judaism with the support of the Israeli authorities, the community at Belmonte has been consolidated by the construction of a synagogue, paid for by a patron, Salomão Azoulay, and seems to have returned to normal community life. 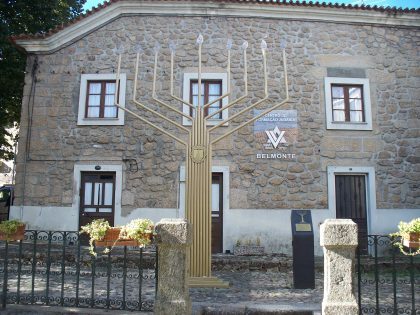 In the last years, Jewish culture has been revived in Belmonte. The synagogue organizes offices every night in summer and there are Shabbat and holiday services throughout the year. There is also a mikveh in Belmonte, as well as a Jewish Museum opened in 2005. The museum underwent a renovation in 2016 and reopened in 2017 with a new exhibition focusing on local Jewish history.